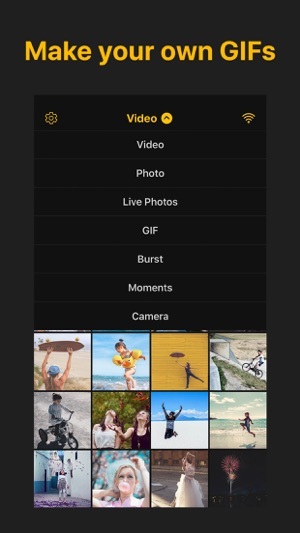 ImgPlay makes it easy to create and share GIFs or videos, using Live Photo, standard photos, burst photos, and videos. An easy to use app that makes GIF-making simple! No complications, ever! 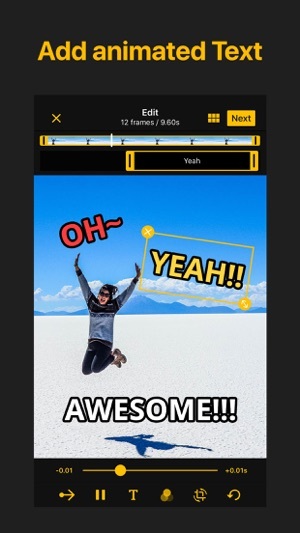 ImgPlay lets you breathe more life into your photos and videos. Make your own GIF, enjoy it, and share it with your friends today! 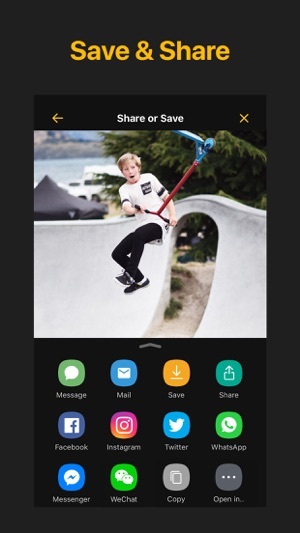 * Quickly Share GIFs/Videos to Instagram, Twitter, Facebook, TikTok, WhatsApp, Weibo, Facebook Messenger, WeChat, or QQ. * Send GIFs/Videos from Camera Roll Directly on iMessage without leaving the chat window. If you are enjoying ImgPlay, please take the time to leave us a positive review. It really helps! Great app! Easy with lots of options. I'm a real person and this is in no way a paid review. I have been making a ton of gifs lately since this is so easy to use. I was going to ask the developer to add cropping and actually showed up before I could request it. The companion gif album app is great too. I got the bundle and it's well worth it! Grab it you won't be disappointed. Excited to see what additional features are coming down the road. Hello, Thank you for the review! We will improve the ImgPlay app to more powerful. Look forward our new updates! Thanks. It’s a good usually a good utility, but ever since the last update ImgPlay4.0.31 I cannot import animated GIFs as an animation from the Photos App iOS11.2.1, instead it gets flattened into a single frame. While I appreciate the effort and additions this app has made including APNG support, I can not recommend until it has fixed this functionality. Once you send us email, we will check internally and fix the issue as soon as possible. Thank you!